Sarcasm is confusing on Twitter. The latest teaser for Rick and Morty shows a ghostly figure dressed in black chasing Rick and Morty through a dreamy, Escheresque setting — and Neil Gaiman has reacted. Positively. When a fan took to Twitter to comment that the crazed figure made the episode look like a parody of The Sandman, the author of the dark fantasy series was none too pleased. “Oh good,” is all he had to say about it. In “Morty’s Mind Blowers,” Rick and Morty get chased by a character who bears an uncanny resemblance to the entity called Morpheus, the main character of The Sandman. Dream, as he’s also called, is the seemingly all-powerful lord of all dreams and stories — but in Rick and Morty, somebody’s stolen his precious Truth Tortoise. The humanoid character has a ghost-like face and a shock of wild, black hair. He’s shirtless, with a long trenchcoat and a punk rock aesthetic deeply reminiscent of Gaiman’s character. The bizarre setting helps to paint an exaggerated depiction of a character steeped in dreams. The character was once described in Season of Mists as “rake-thin, with skin the color of falling snow.” That definitely sounds like something Rick would laugh at. Whether or not this is a legitimate parody of The Sandman, Gaiman himself seems convinced it might be. It’s always hard to read the tone of a tweet, but this one seems less than enthusiastic. 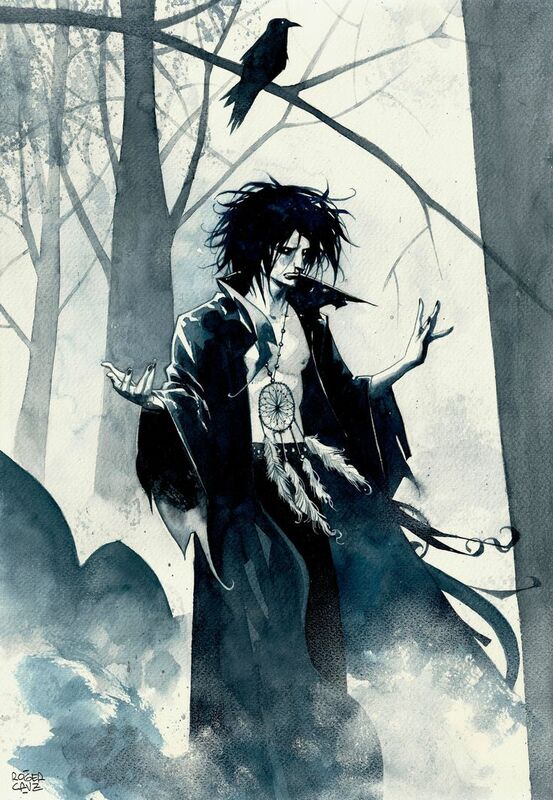 The deeply mythological Sandman series is technically part of the DC universe of comics, and it focuses on Dream and six other “Endless” personifications of Death, Destiny, etc. that are far older than any gods. We’re sure that Rick could care less. Let’s get that tortoise! Editor’s note: An earlier version of this article asserted Neil Gaiman was being sarcastic about saying “oh good” in response to the spoof. Neil Gaiman has now clarified on Twitter that the “oh good” response was indeed in support of the spoof and not sarcasm. We apologize for the misreading. I don't do sarcasm on Twitter, as it tends not to work, and then you have to reply to 100s of people who think you believe what you don't. Rick and Morty’s “Morty’s Mind Blowers” airs Sunday on Adult Swim at 11:30 p.m. Eastern.